Event Description : KIDS WORKSHOP : Hands On presents "Unsolved! 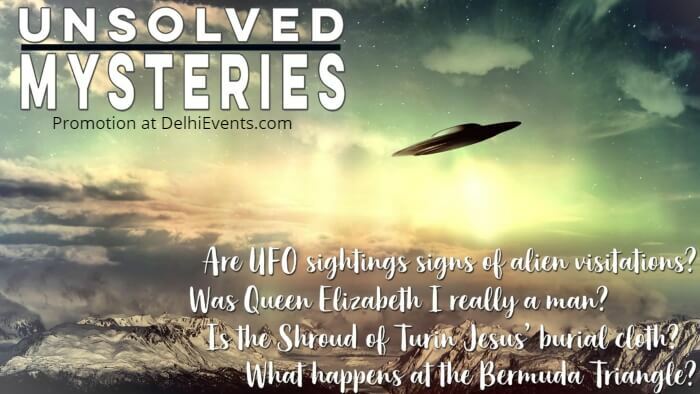 Mysteries of the World : Season 2"
Are UFO sightings signs of alien visitations? Why do planes and boats disappear in the Bermuda Triangle? Was Queen Elizabeth I really a man? What is the mystery behind Shakespeare’s identity? Did Atlantis really exist or was Plato’s imagination running wild? Is the Shroud of Turin Jesus’ burial cloth? Children will have fun as they discover unsolved mysteries, strange sightings, mysterious events and spooky disappearances.